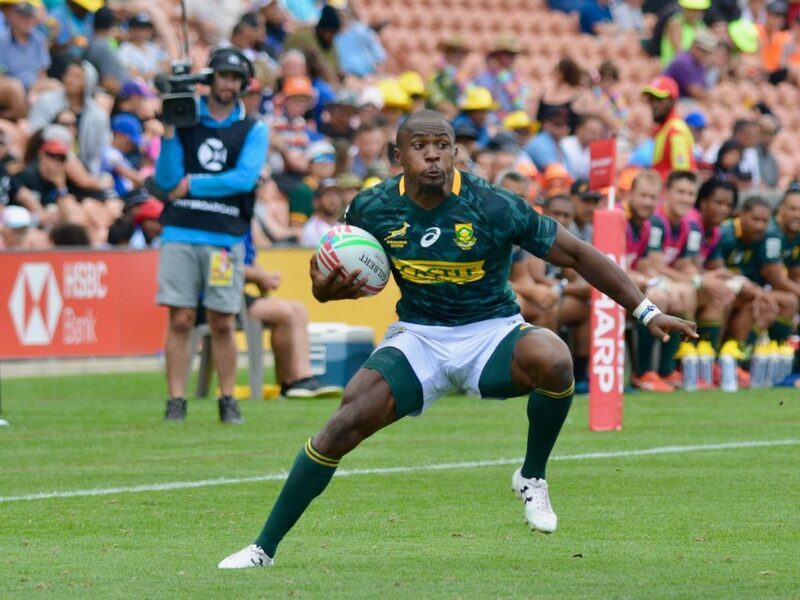 Siviwe Soyizwapi will captain the Blitzboks at the Hong Kong Sevens in the absence of the injured Philip Snyman next weekend. 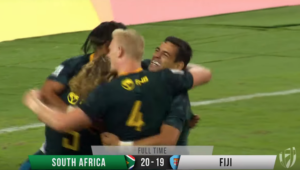 Snyman is still recovering from a head knock suffered at the Vancouver Sevens, where the Blitzboks claimed their first tournament triumph of the 2018-19 World Rugby Sevens Series. 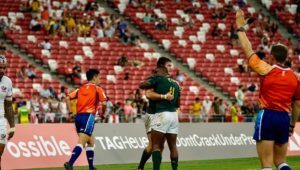 Meanwhile, a Hong Kong debut is on the cards for 20-year-old Angelo Davids, who was named on the wing in place of the injured Muller du Plessis, while with Snyman out of action, Ryan Oosthuizen comes back into the starting team. 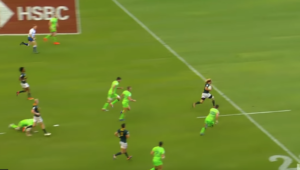 JC Pretorius, who made the Dream Team in Vancouver, will also miss out due to injury. As a result, coach Neil Powell has moved Werner Kok to the forwards for this trip, and Kok’s regular slot out wide will be taken by Kurt-Lee Arendse, who initially travelled to Canada as a replacement. Chris Dry, who missed the North American leg of the Sevens Series due to injury, is fit again and will fly east with the team on Saturday as back-up. ‘In the ideal world the same squad would have travelled to Hong Kong, but we had to replace three players due to injury. That created special opportunities for Shakes [Soyizwapi] and Angelo, who will debut as captain and player respectively. ‘Shakes was identified as a future leader and made part of the leadership group before the season started, and he led the team admirably in those final two matches in Vancouver. I am confident that he will continue to do so. 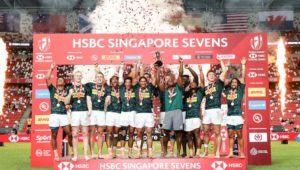 Blitzboks squad for Hong Kong: Ryan Oosthuizen, Sako Makata, Impi Visser, Zain Davids, Werner Kok, Kurt-Lee Arendse, Branco du Preez, Selvyn Davids, Justin Geduld, Stedman Gans, Siviwe Soyizwapi, Angelo Davids, Chris Dry (travelling reserve).